Home » Criminal Defense Blog » When Are Ignition Interlock Devices Ordered for DWI Drivers in Texas? A law enacted in Texas in 2015 means many drivers who would previously have lost their licenses can now remain on the road as long as an ignition interlock device is fitted to their vehicles. An ignition interlock is connected to your vehicle. The device is like a breathalyzer. 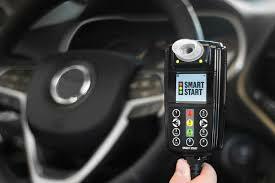 It has a preset level for blood alcohol concentration (BAC) determined by the state. If you blow into it when you are over the drunk driving limit, your vehicle won’t start. Under the law in Texas, people who were convicted of DWI may be allowed to drive as long as they have an ignition interlock system installed in their car. The legal BAC limit in the state is 0.08 percent. Texas is a judicial ignition interlock state. This means a judge decides whether you must drive with the device and how long it is fitted for. Usually, first DWI offenders with a BAC of .08 but under 0.15 can choose either a suspended driver’s license, which can last for 90 days to a year, or having an ignition interlock device installed on their vehicles. Ignition interlock devices are often ordered for first-time offenders with BACs over 0.15. The ignition interlock device is normally fitted for 90 days to a year. For second offenses, the device may be fitted for as long as between 180 days to two years. Subsequent offenses can be longer. Drivers who are ordered to use an interlock device must obtain a restricted interlock license from the Texas Department of Public Safety. When the Texas Department of Public Safety receives the court order to restrict your license, it will cancel your current driver’s license privileges 30 days from the date you received the notice. You will have to pay a fee to obtain a restricted interlock license as well as paying for the device to be installed. Drivers convicted of DWI also have to obtain SR-22 insurance certification to verify they have insurance coverage. A restricted interlock license will not be issued if the driver’s current license is expired, suspended or if he or she has not paid the required fees. Drivers who are charged with DWI receive a temporary license from the officer at the arrest scene. They are given a 15-day grace period to challenge the removal of their license. The case is heard by an administrative law judge. This is a separate hearing to the criminal hearing related to the DWI charge. If you fail to request a hearing, your license will be automatically suspended for three months on the 16th day. Most drivers on a first DWI offense will receive a restricted license allowing them to drive to work, pick up kids, attend medical appointments or court appearances. However, the fitting of an interlock ignition device allows motorists to drive in lieu of suspension after 30 days. The expansion of Texas’s ignition interlock provisions was welcomed by Mothers Against Drunk Driving even though it allows more drivers back on the road after a DWI conviction. Texas has penalties for failing the breathalyzer test associated with the ignition interlock devices including being removed from the program and losing your license or having the interlock period extended. DWIs are complicated by their very nature. Often defendants fail to realize their rights and end up with restricted driving privileges. Please call our Dallas DWI defense lawyers today for assistance if you have been charged with drunk driving.